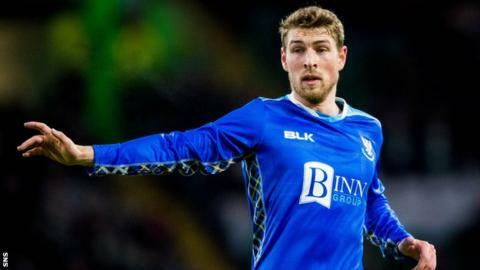 David Wotherspoon has signed a two-year contract extension St Johnstone that ties the midfielder to the Scottish Premiership club until 2021. The 29-year-old joined his hometown club from Hibernian in 2013 and was part of the team that lifted the Scottish Cup in his first season. Wotherspoon was due to be out of contract this summer. The midfielder has made 239 Saints appearances, 29 of them this season for the Scottish Premiership outfit. The Perth side sit sixth in the table after their weekend draw away to Rangers. Wotherspoon's team-mate, right-back Richard Foster, signed a one-year contract extension last week.